The award-winning luxury sports saloon that attracts attention wherever it goes. The IS 300h brings together show-stopping looks with advanced technology and unparalleled comfort. With its athletic stance and long coupe roofline, this exceptional sports saloon is engineered to deliver an effortless, heart-racing performance. With a choice of grades, you can configure your IS to your exact specifications. The exquisite detail and finish of the interior sets the IS apart – your search for the most luxurious sports saloon is over. Explore the peerless craft of the Takumi artisans..
A more rigid chassis improves driving precision, and an optional new adaptive variable suspension gives greater grip and better handling. A new lightweight suspension offers better ride quality, body control, traction and straight-line stability, as well as better steering response and feedback. Our aerodynamic engineers spent hundreds of hours perfecting the near-flat underbody and winglets to create a fuel-efficient, ultra-quiet ride. The Lexus Safety System+ is standard on IS, and includes intuitive driver information, better forward vision, traffic sign recognition, prompt warnings of hazards and collision risks, and autonomous deceleration and braking in an emergency. Fitted with the latest Lexus Hybrid Drive technology, the IS offers environmental efficiency with powerful and responsive performance. The Lexus Safety System+ can be specified as an upgrade, and includes intuitive driver information, better forward vision, traffic sign recognition, prompt warnings of hazards and collision risks, and autonomous deceleration and braking in an emergency. Benefiting from our lead in accident prevention research, all IS models are fitted with Lexus Safety System + as standard. Including Pre-Collision System with Pedestrian Detection, Lane Departure Alert with Lane Keeping Assist, Automatic High Beam, Dynamic Radar Cruise Control and Road Sign Assist. Built at our award-winning Tahara plant in Japan and overseen by Takumi craftspeople, the new IS doesn’t just look stunning, it delivers an irresistible performance. On the outside, you’ll see the Lexus spindle grille and striking LED lights, while the interior boasts a 10.3-inch display, beautifully stitched leather seats and laser-etched wooden inlays. Begin tailoring the IS to your requirements, experiment with colour preferences, or continue onwards to explore features and the gallery. Lexus IS 300h. On the Road Price† €42,580. Deposit/ Part Exchange €15,328. Finance Amount €27,252. 36 monthly payments of €353.94. Term 37 months. GMFV †† (Optional Final Payment) €17,006. Total Cost of Credit €2622.82 (including documentation fee and purchase fee of €63.49 each) Fixed APR 3.9%*. † On the Road Price quoted in finance examples above includes retailer & related charges. ††GMFV payable if you renew or retain the vehicle at the end of the agreement. Further charges may apply subject to kilometre limits / condition of vehicle. *Lending criteria, terms and conditions apply. 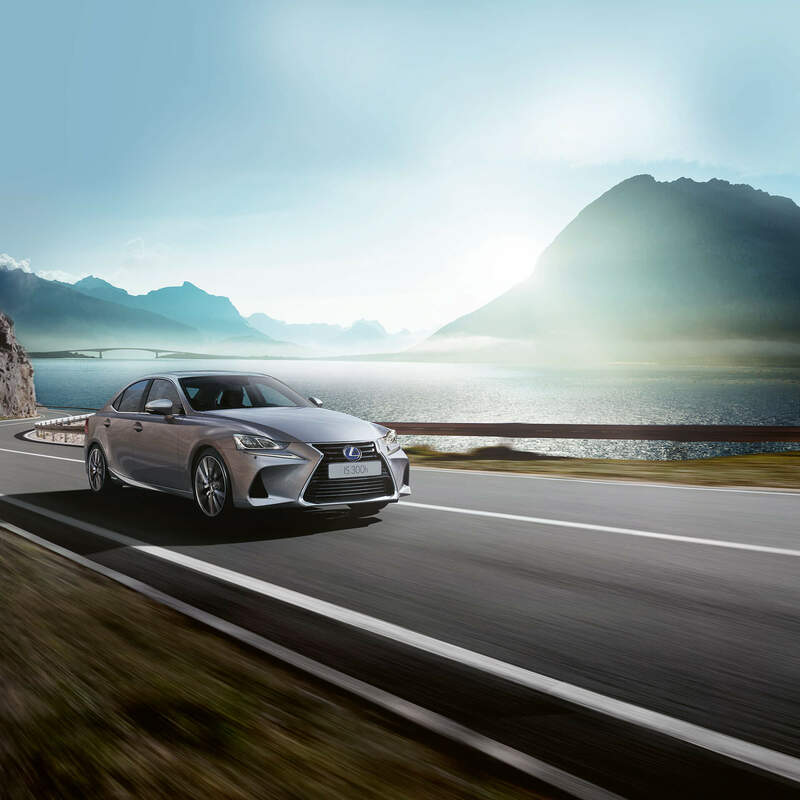 Finance by way of PCP agreement provided by Lexus Financial Services Ireland DAC. Minimum deposit of 7% and maximum term of 37 months applies. Rate quoted is correct as at 14.11.2018 and is subject to change. This offer is available on all new IS models registered/purchased from 1st November 2018 to 30th April 2019.